You’ve concluded your Chapter 13 or Chapter 7 case. What’s next? Your decisions will have a profound effect on your future. Should you “re-establish” credit, like so many others suggest? Should you avoid credit altogether? Should you alter your lifestyle? To answer that, look at what debt has done to you. Has debt done anything positive in your life? Foreclosures, garnishments, tax liens, car repossessions and broken marriages are the offspring of debt. Debt is danger! Debt is a four-letter word that destroys your financial freedom and peace of mind. There’s no such thing as good debt. Even home loans at good rates should be paid off as soon as possible. You can’t lose a home to foreclosure if the mortgage is paid off. A lender is not your friend. He exists to make a profit from our ignorance and our desire for gratification. Once you understand that debt is your enemy, you’ll be on the road to financial freedom. Why did I file bankruptcy? The answer to this question is more important than the fact that you filed a bankruptcy case.In my 20+ years of experience, I often have filed cases for clients on their second, third or fourth bankruptcy case. 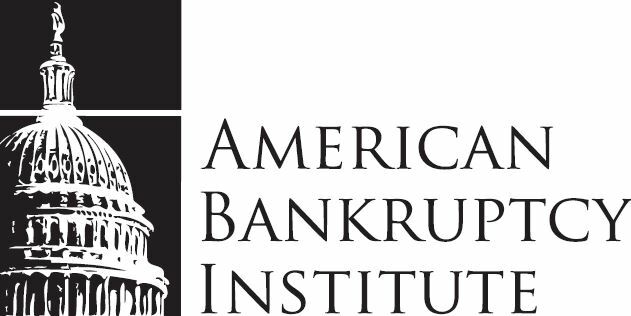 Unless you understand the events that led to your bankruptcy, you’re doomed to be a repeat customer of the bankruptcy system. Did I take on too much debt? Did I have no emergency fund? Did I buy too much house? Do I have a budget? Until you know where your money is going, you’ll be left wondering where it went. Have an emergency fund. This is the building block to financial success. One of life’s certainties is having to deal with an emergency. Unemployment, expensive car repairs, illness or helping a family member will plunge you into debt unless you have an emergency fund.How much should your emergency fund be? Multiply your monthly take home pay by 8. The result is your emergency fund – eight months of income. Building this fund will take some time, but it must be your first priority. Don’t even think about financing a car. Of all the mistakes you can make, this one is the worst. No one gets rich by making car payments. In fact, car payments are the fast track to financial distress. Think about how much better off you are with an extra $400 or more each month. After you save enough for your emergency fund, start setting aside money for a car. If you set aside $400 per month, you’ll have $4,800 in 12 months. You can buy a very nice car for that. Want to be a millionaire? Put $416.67 per month into a Roth IRA with a good mutual fund for about 372 months (31 years). That’s much better than making car payments and having nothing to show for it. Never, ever, ever run a credit card balance. If you have a credit card, pay the balance in full each month. If you can’t do that, destroy your credit cards before they destroy your finances. Live the simple life. Many people increase their lifestyle when their income increases. This is a monumental mistake. If you live on $30,000 while making $50,000, you’ll be financially secure. Buy the car for cash. Move to an area of town where houses are cheap. Go to the thrift store. Read books. Take walks. Cook at home. Frugal is fun. Find real fulfillment in your life through meaningful activities that don’t cost a dime, and you’ll never feel the need to seek false fulfillment at a mall or a car dealership again. Are you worried about what other people think? You shouldn’t be, unless they’re paying your bills. Never co-sign a debt for anyone, especially family. This is worse than anything you can do. You’ll end up paying the bill. The person you co-signed for will default. That’s why the lender wants a co-signer. Not only do you get the bill, but you’re hurting the other person. You’re helping someone who has no business going into debt do just that. The Old Testament says that a co-signer is a fool (Proverbs 17:18). They were onto something. Educate yourself about money. Unless you educate yourself about money, you’ll never be financially successful. With the internet, you have no excuses. See the list of website links here to get started. Invest in your retirement. How do you want to spend your retirement? Working at a job you hate so you can pay the bills? Or taking vacations and spending time with family? If you’re counting on Social Security, you’ll be disappointed. Social Security is a financial disaster of its own. It might not be around when you retire. A Roth IRA is a great way to save for your retirement. Your investment grows tax free, and you control your money. If you have a 401k at work, you should invest in it if your employer matches some of your investment. Never borrow from or cash out an IRA or 401k for any reason. You’ll regret it when you need that retirement money. Today is a new beginning. You had financial distress, you made mistakes and maybe you filed bankruptcy. Vince Lombardi said, “It’s not whether you get knocked down, it’s whether you get up.” His teams lost some games, but they bounced back to win Super Bowls. The past doesn’t matter. Tomorrow matters. Small changes lead to big wins in sports, life and finance. It takes time, patience and persistence. You won’t be financially secure overnight. Saving, investing and avoiding debt are to financial success what blocking and tackling are to winning football games. Nothing flashy, just winning. Think about your life with a paid-for home, a paid-for car and money in the bank. No more nasty phone calls, no more creditors, no fear going to the mailbox. How much is that worth?